We aren’t through raving about LV’s Spring/Summer 2014 Eyeline pumps yet and the fashion house has already moved on to Fall/Winter, with Menswear. 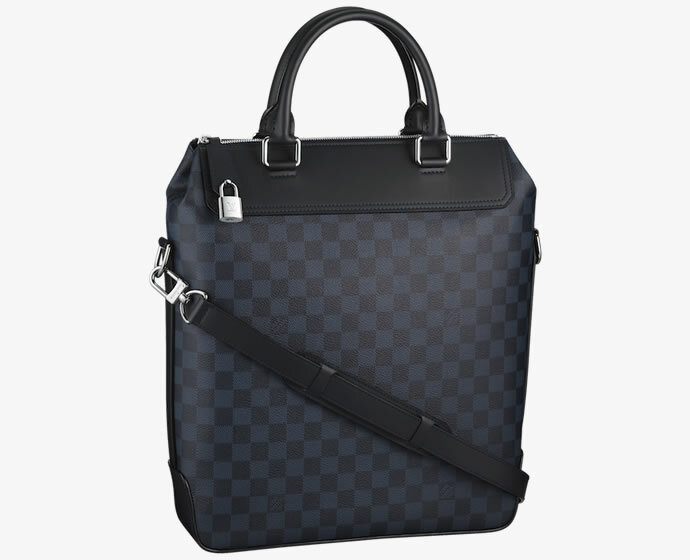 Which brings us to its highlight, the refashioned Damier signature. Revealed in 1889, the pattern has been nothing short of an icon, one that has been introduced in a wide range of canvases since then. Its latest colorful interpretation does to menswear what the emblem did to the maison perhaps. We will know for certain when it marks the wardrobes of fashionable many in the months to come. 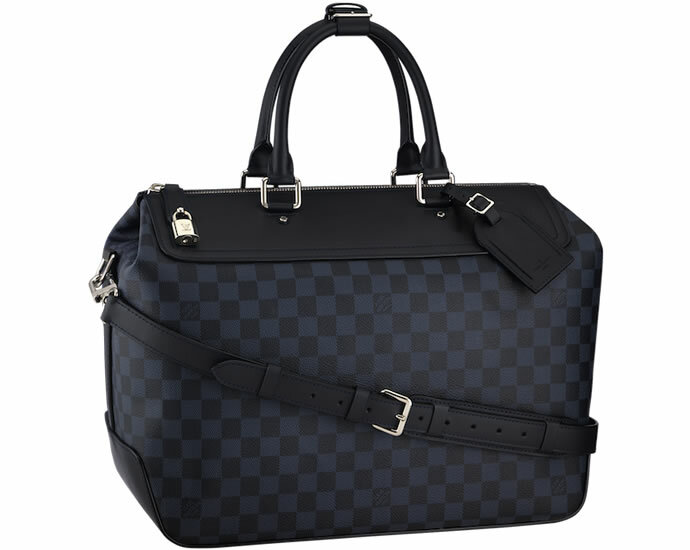 Until then, lets savor its cobalt avatar with a look at the vast array of Damier Cobalt Canvas. Present in a range of small leather goods to handbags and travel bags, there is plenty of the charismatic canvas for every man to choose from. 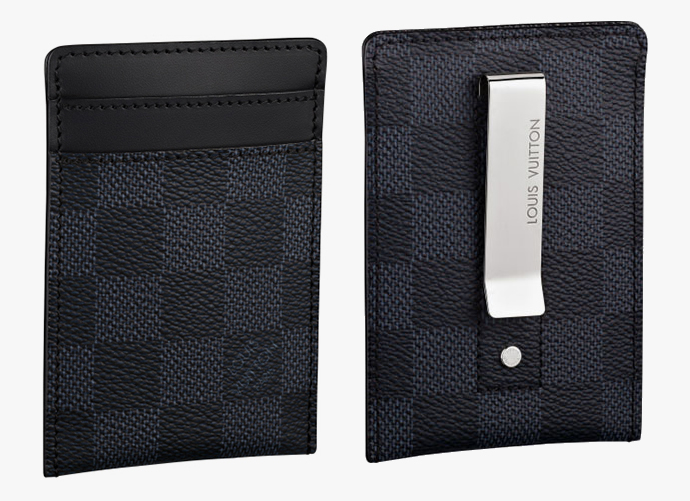 Featuring the latest pocket essential, ‘the clip’ in an elegant palladium finish, this ultra-slim cardholder offers to also carry up to 15 folded bills, all whilst oozing inimitable style through its Damier Cobalt canvas. Ultra-slim and lightweight, it slips easily into a pocket, but not before replacing $335 from it. 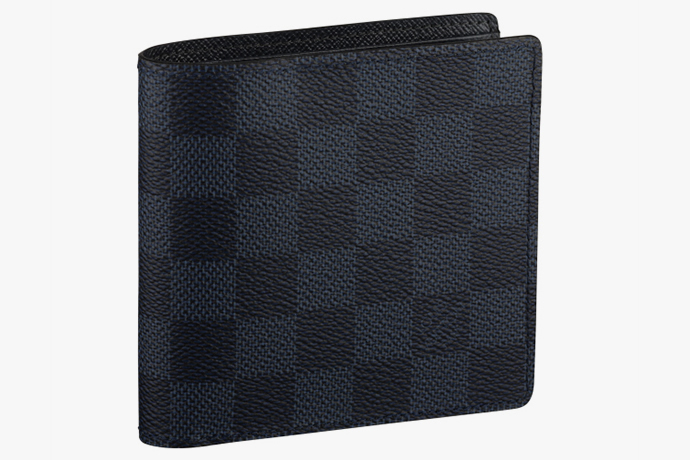 With a very supple leather lining, this Damier Cobalt canvas cousin offers to organize credit cards and bills within its compact, lightweight design. Featuring multiple pockets, it also features a price tag of $335. 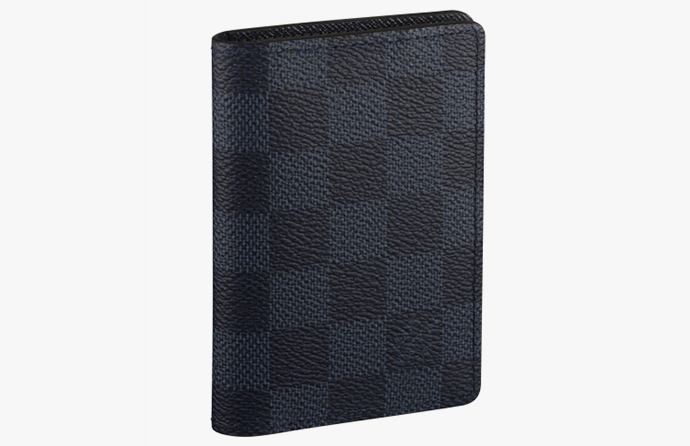 As the name suggests, this Damier Cobalt canvas wallet offers numerous slots for everything from cards to receipts and banknotes. Yet it has a compact shape that fits easily into pockets. And a supple leather lining, as well as a price tag of $505! Like its Damier Cobalt canvas brethren, the Marco Wallet comes in a streamlined, compact design with an addition of a practical coin pocket. 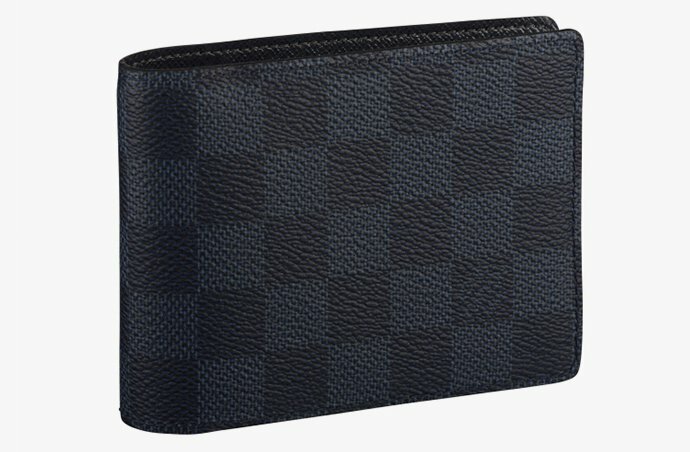 Slightly bigger than the Multiple Wallet, it also carries a very supple leather lining, besides a price tag $595. With the Brazza, wallets get brazenly bigger. 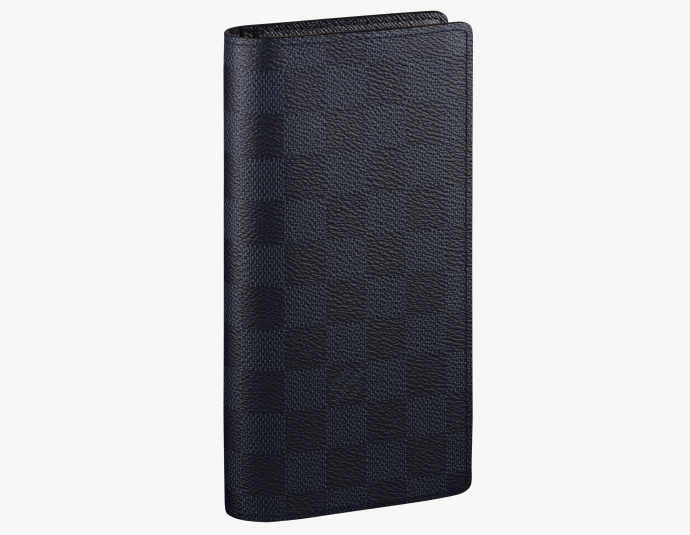 Combining the charismatic Damier Cobalt canvas, with a very supple leather lining, the Brazza wallet boasts a vast array of practical features, including multiple credit card slots and a zippered coin compartment. Naturally, the price tag also gets bigger, with $620. This very versatile wallet is the perfect companion for travel with numerous pockets. 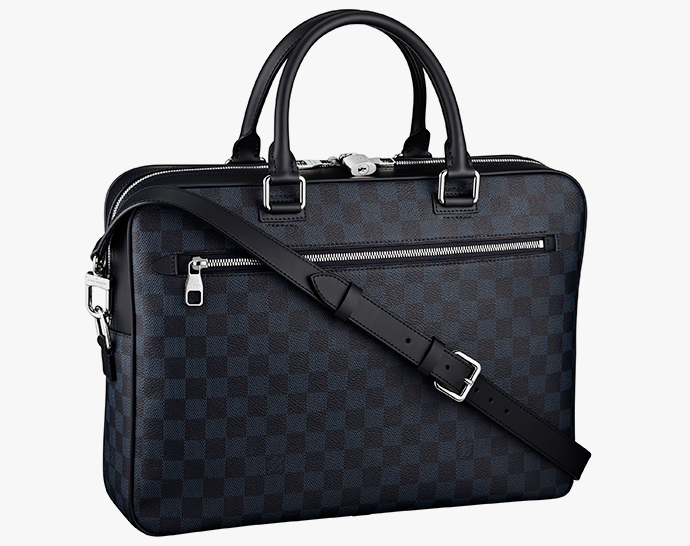 Its versatility includes compartments for your passport, tickets, bills or credit cards. And with a shape that, it blurs the lines between a traditional wallet and a clutch! It does so however, at a price of $1,170. Inspired by the iconic Neo Greenwich travel bag, the Messenger variant in Damier Cobalt canvas displays a fashionable masculinity, one that can be shoulder or cross-shoulder carried. Its masculine nature gets a further boost from the leather trim and palladium-finish hardware, while a well-organized interior render it ideal for business use. The Greenwich Messenger is priced at $1,930. Inspired again, by the iconic Neo Greenwich travel bag, the Greenwich Tote in Damier Cobalt canvas can also be shoulder-carried or hand-carried and comes with leather trim and palladium-finish hardware. It is basically for fans of the tote, those who also like a larger, organized interior. 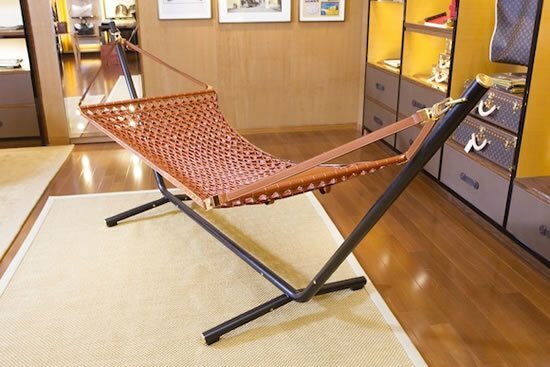 Its extended elegance comes priced at $2,230. 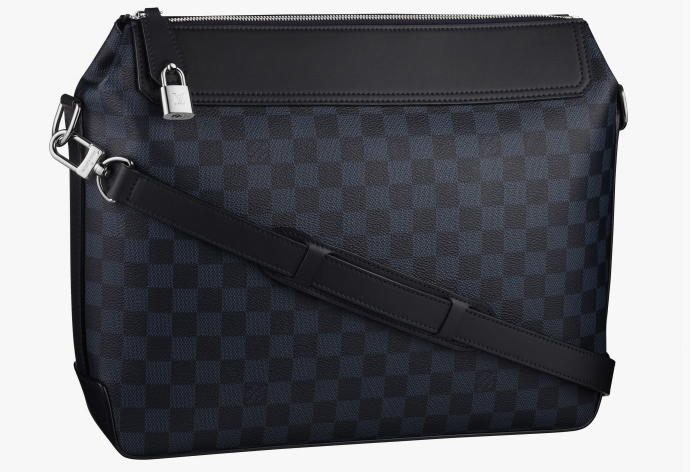 Displaying a mix of fashion and functionality in Damier Cobalt canvas, the Porte-Documents Business is designed to keep A4 documents, an iPad or a laptop and other belongings. 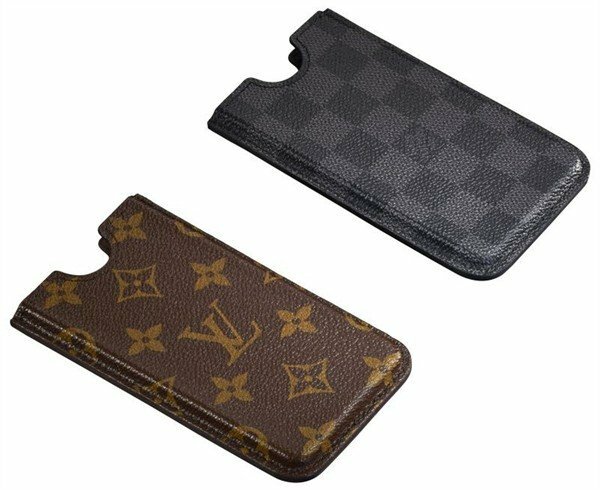 Its sleek, leather-trimmed exterior with palladium-finish hardware conceals a zipped pocket for quick access to travel tickets, documents, keys and other essentials. 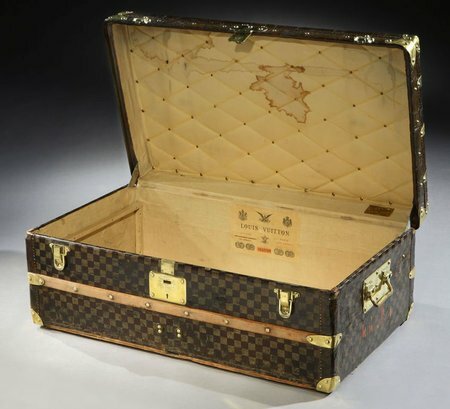 It also conceals a price tag of $2,230. 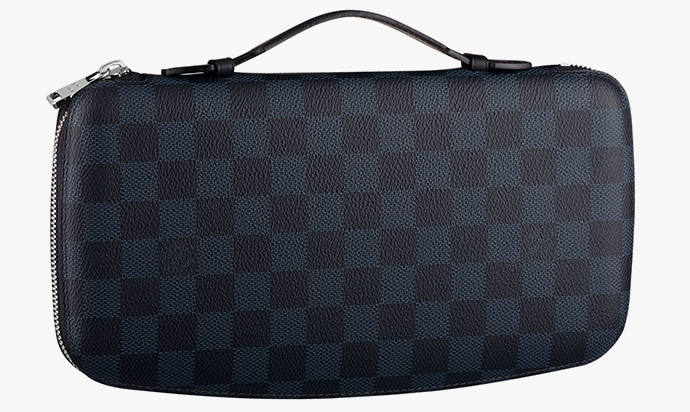 Louis Vuitton’s iconic Keepall 45 travel bag gets a cobalt blue facelift in Damier Cobalt canvas. Its historic design dating back to the 1930s remains as sleek and functional as ever with this spacious, lightweight and versatile rendition that is priced at $1,620. 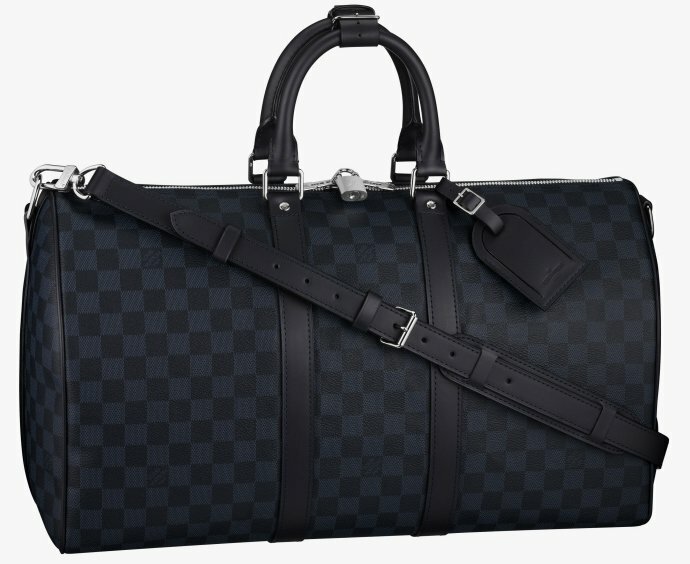 Both timelessly elegant and distinctively modern, the Keepall 55 epitomizes the art of travel with added space, yet a Damier Cobalt canvas body that remains lightweight. 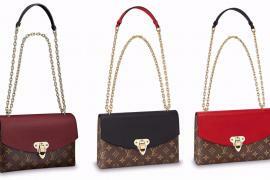 The bag is priced at $1,670. 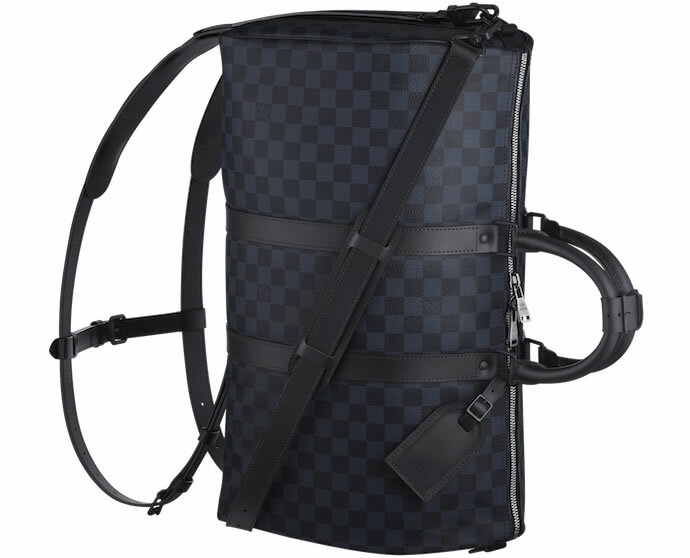 LV’s iconic Keepall 45 shape finds a reengineered way to a backpack with the Keepall-à-Dos. 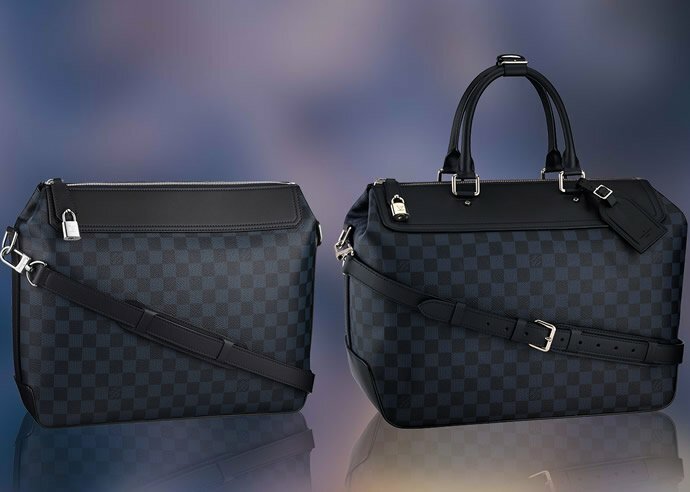 The bag gives a trendy touch to timeless elegance in Damier Cobalt canvas and their sophisticated hybrid come priced at $2,450. 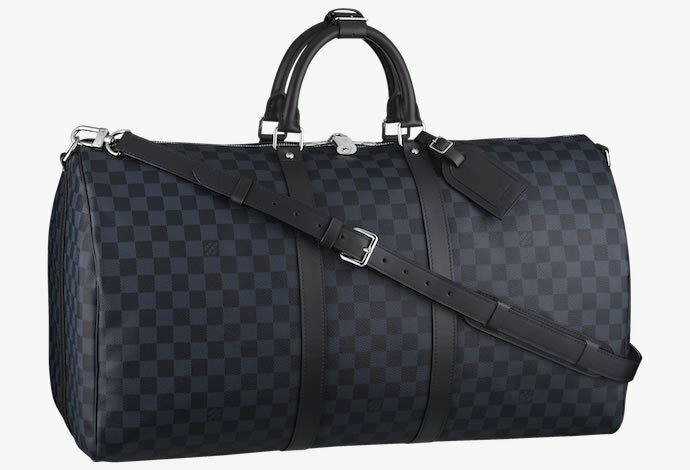 In Damier Cobalt canvas, Louis Vuitton’s iconic Neo Greenwich travel bag is proposed in a more compact version. Its shape along with an adjustable and removable shoulder strap, and comfortable rounded leather handles make this luggage a chic travel companion. The spacious, well-designed interior, only give it an added advantage. 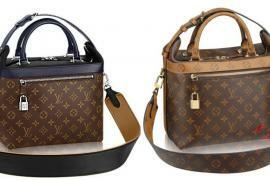 Its price is not so compact, however, at $2,600. 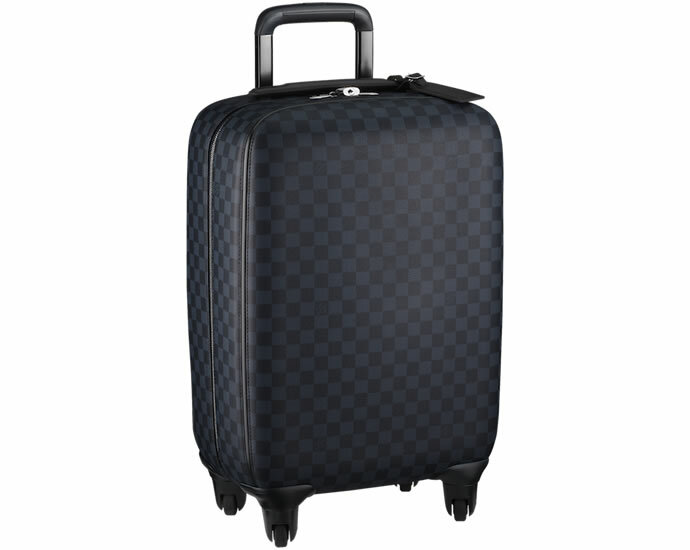 The Zéphyr 55 trolley case elegantly renews Louis Vuitton’s legendary art of travel in Damier Cobalt canvas. The maison’s traditional leather goods craftsmanship is combined with innovation and modern design rendering a lightweight, robust and ultra-mobile, companion that glides along smoothly on its four multi-directional wheels. Its ingenuously arranged interior boasts many practical features and the trolley boasts a price of $3,350. 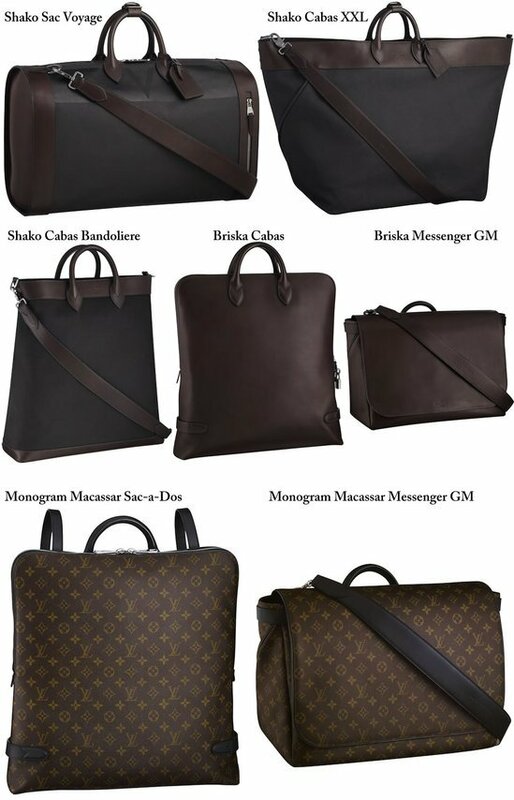 The entire line of accessories is fashionably masculine and available exclusively online. It will begin to arrive in stores on January 31 and with so much on offer, it will breathe new, blue life into the brand’s emblematic Damier signature. Previous articleThe uber-expensive $100 a cup Cat dung coffee Kopi Luwak: condemn or covet?